Immigrate to Canada via Ontario Immigrant Nominee Program! FREE Information Session - Gateway to Canada | Canada Immigration Consultancy! If you are planning to study in Canada as a pathway to become a Permanent Resident in Canada, you may want to attend this FREE Information Session on June 18, 2018, Monday, 1pm at Bayview Park Hotel in Roxas Blvd Manila. 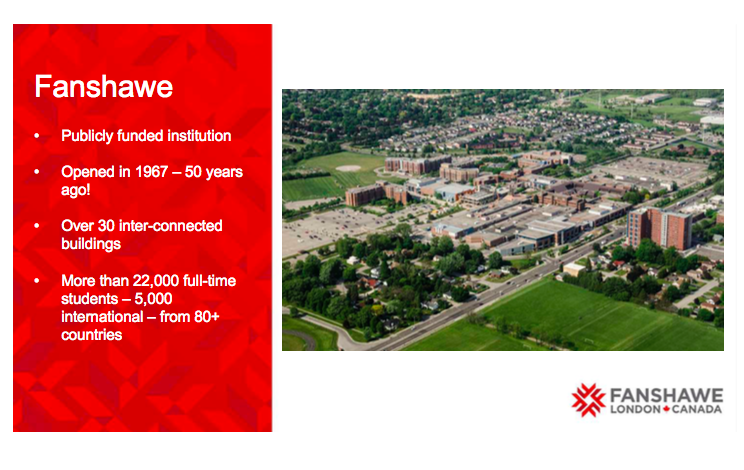 Representative from Fanshawe College will be there to conduct consultations. Fanshawe College is a publicly funded institution located in London, Ontario. IELTS is not a mandatory admission requirement for applicants from the Philippines! The best and easiest way to become a permanent resident in Canada is via the Study Visa Pathway. As International Student, you may work part-time and work full time after finishing your program. You may bring your spouse and kids! Your sposue may work full time while your kids may study for FREE! With education credential from Canada, Canadian work expereince and a permanent and full time employment, you will have a great chance of becoming a PR! Find out if you are elgiible. Take the FREE Online Assessment! You may also attend this FREE Information Session and personally meet and consult with the Representative of Fanshawe College. Register here to reserve a seat!